These socks are Great for adults, men & women. 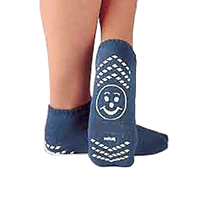 Designed for medical hospital patients but great for everyone looking for comfort.These socks are Great for adults, men & women. Designed for medical hospital patients but great for everyone looking for comfort. Machine Wash Warm With Like Colors, Tumble Dry Medium. 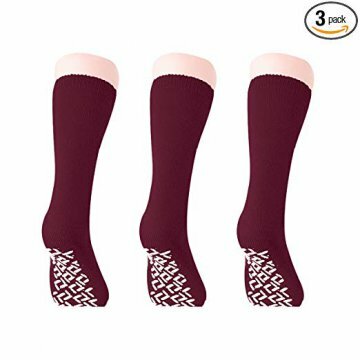 Mid-calf length socks are imprinted on a single side with a slip-resistant sole for security and safety. These socks are made of soft, breathable terrycloth, latex free and are machine washable for multiple uses. 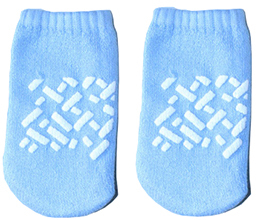 Personal Touch offers several sock colors in Adult sizes. Comfortable Rubber Bottom Slipper Sock, Adult-One Size Fits Most XXL, The Sock Size for Men is 10-13.